Roses shine on Valentine’s Day and Whole Foods is the perfect place to find a dozen (or two!). Here in Colorado, as well as in Kansas, Utah, Idaho and New Mexico, Whole Foods is offering this great sale: two dozen Whole Trade roses for $20. Similar good deals for roses and flowers are available in other states too; please check your local Whole Foods for more details. Whole Trade products are a purchase that supports the following initiatives and values: better wages and working conditions, environmental responsibility, community development, and supporting the Whole Planet Foundation. Buying these roses is a win-win-win opportunity: gorgeous roses-great price-feel good purchase. How is that for a Valentine’s Day treat? What goes well with roses? Chocolate of course! 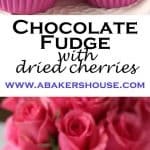 This Chocolate Fudge comes together quickly and can be dressed up with all sorts of tidbits– this particular fudge has dried cherries, white chocolate chips and a touch of sea salt to finish it off. 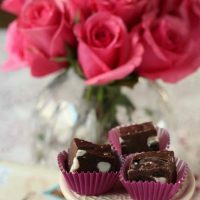 It is a perfect Valentine’s treat for a sweet bite at the end of a meal and even nicer to dress up in a pretty candy box and give to friends. 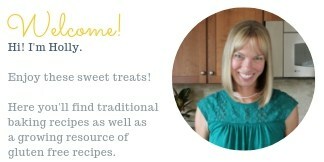 This recipe is on the Whole Foods website and I only made a few small changes which I’ll mention below in the recipe. I used a local Boulder, CO favorite chocolate– Chocolove— and combined a few types of chocolate to make this simple sweet bite. What are your favorite ingredients for fudge? Will you make cookies for your Valentine? Try these heart shaped stained glass cookies. They are sure to be a hit! 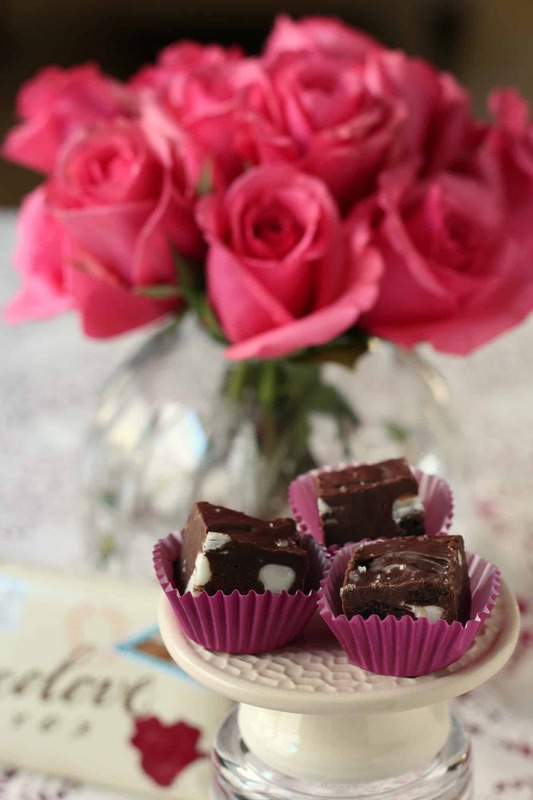 Here are more fudge recipes you’ll love! Prepare an 8 x 8 glass pan by lining it with aluminum foil. Break the bars of chocolate into smaller pieces. Combine the milk chocolate, dark chocolate, evaporated milk, hazelnut spread, vanilla extract, sea salt and semi sweet chocolate chips in a medium saucepan and gently heat the ingredients while stirring over medium-low heat. Stir until smooth. Remove from heat then add the dried cherries, white chocolate chips and the optional pecans. Pour the mixture into the prepared pan and smooth with a spatula. Cover and refrigerate for at least 3 hours. Whole Foods wants to Share the Love this Valentine’s Day and is offering one lucky reader a $25 gift card to Whole Foods Market. Please enter below for your chance to win. The giveaway has ended. What a great combination! Who doesn’t love roses and chocolate? have a happy Valentine’s Day Holly! Happy Valentine’s Day! Hope you have a great weekend, Karen! Nice giveaway! Thank you and Happy Valentine’s Day to you!